For a few days the screen of my Canon 700D won't show anything. It is powered (backlight on) but is completely black. If I connect an external screen, fortunately I can see the menu. My DSLR is ~ 2 years old, and I have been using Magic Lantern for a long time. I tried to reset the settings, remove the battery, sd card etc. I have managed to uninstall Magic Lantern with the help of my external monitor, but it didn' solve the problem. 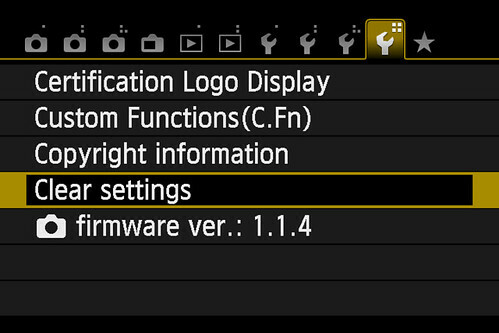 I have the firmware version 1.1.4. I checked the precedent posts but didn't find the solution. May the problem come from MagicLantern or the screen itself ? If you reinstall ML and use the diagnostic autoexec.bin provided for such issues you may be able to tell if your screen is working at all. Try resetting the Canon settings to their default values. That has cured lots of issues for me. I already tried to reset the Canon settings. I installed Magic Lantern and ran the diagnostic autoexec.bin. Portable display test : when I put the sd card into my DSLR, the screen lights up but is still completely black. LED blink test : When i put the sd card into my DSLR, nothing happens. The screen doesn't lights up and I even can't turn on my camera. So nothing changed with the time. Does someone have an idea on how to fix it ? Or else I should think about buying an external monitor ? This means the card was configured correctly. The LED blink test is quite old and wasn't updated for 700D (that's why it doesn't blink). I'm afraid this means hardware issue. Ok, I also think that's the problem.